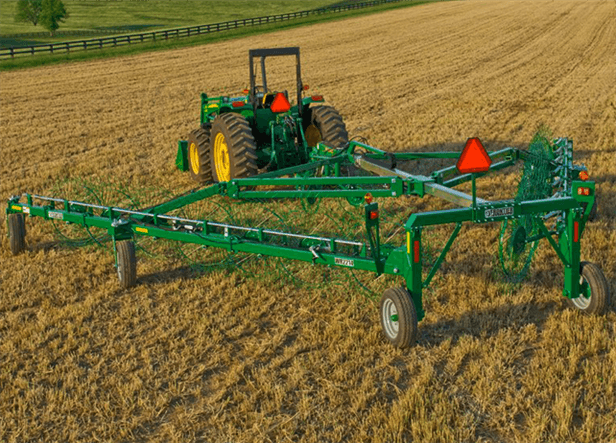 If you have small acreages or irregular fields, you'll find tremendous value in the Standard-Duty High-Capacity Wheel Rakes. They offer quality hay gathering at an economical price. The WR22 Series features fully articulated opening arms for efficient raking on uneven terrain.